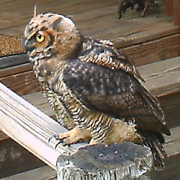 Use this forum for the discussion of surveillance applications with scouting cameras. Trying to catch a theif? Trying to monitor a warehouse? Watch a cabin? Lets hear your ideas. My SG550V got 10 seconds of trespassers. That did the trick. I've got my hunting area well marked with no-trespassing signs. Nevertheless, over the years, we've seen evidence of horse-riding out there, beer cans along the trails, etc. I got the property so we wouldn't have to worry about shooting someone accidently or being shot. Trespassers defeat those intentions. So, I set up my camera along one of the trails in a location that is somewhat hidden by tree limbs and bushes. The other day on a lazy Sunday afternoon at about 4 pm I got 10 seconds of three horses and riders angling away from the camera. The video was good quality. Although we did not know the riders, my son spotted what looked like one of the horses (fortunately a paint) a few days later in the pen of a family in the area which also leases property across from me for deer hunting. Since the horse was a paint, the color pattern could be easily identified from the video. I showed the video to the local sheriff's office, told them where we had seen the paint, and an employee in the office thought she recognized the paint as a horse she had sold to the guy. 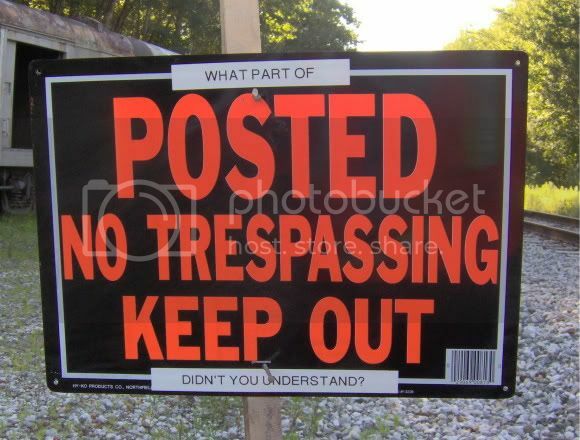 I asked them to explain to the guy that the state does not require posted signs to make trespassing illegal, but I had plenty of signs anyway. I also told them that although I would not press criminal or civil charges this time, I definitely will if it happens again. When the deputies explained to the guy the video they saw, the law, and my rights, the guy quickly apologized and said it wouldn't happen again. We'll see. As a result of this, I also installed another locked gate leading to the property (he had gone around the one locked gate that I already had.) It isn't easy to protect your rights, but my little SG550V surely helps. Glad you got 'em. "Not knowing" they're on someone else's property is one thing, but people who go around/over/through/under fences and gates really tick me off. Strolling right past a very unambiguous sign is another way for someone to earn themselves a coupon for $400 or so off their next paycheck. Just out of curiosity: If they had bothered to stop and ask permission, on a day when you weren't going to be hunting, would you have allowed them to ride there? I love guys that say i didnt know, what they mean is I didn't think i would get caught. RRSecurity, in answer to your question, I may have. The problem is, once permission is given to get on the property, what happens in the future? Or, what happens if they have an accident on the property? Do they sue you because someone fell off the horse and broke a neck and is now paralized for life because you didn't tell them about that hole in the ground or that tree branch across the trail? I believe I know the answer. My faith in folks has been tempered by what I observe. I have not gotten more optimistic with the passing years. I hear ya. I asked just to point out that people who ask permission can sometimes receive permission, but not asking usually ruins any chance they might have had to be allowed on the property in the future. A couple of years ago I asked a farmer dowen the road form me if I could get permission to bowhunt a small patch of land behind his barn. He laughed out loud when I asked. I was sure he was going to refuse me. Instead he congratulated me on being the first person to ask permission to hunt. He said there were lots of guys hunting his farm, but nobody had ever asked him. Not once in the 20 years he had been there. What's even cooler is that he gives me free run of his entire farm. I can bring people in with me. Ride my 4 wheeler in there....whatever. I stop by to visit him on occasion, and even helped him chop corn one day when he was in a bind for help. I'm not much of a farmer, but I can drive a tractor. Friends don't let friends buy trail cameras. I care take alot of farm ground here,all of the ground is fenced and well posted and every year i have to call the sheriffs office and have a few people ticketed, worst time of the year is right now with the shed hunters and then turkey season,mushroom season,arrowheads,it's non-stop.These people dont know what a fence is. My farm is posted and posted well, but two years ago I'm hand planting water melons and heard a small noise right behind me. I turned aroud and there was a couple on horse back just watching me work. Needless to say, I read them the riot act and I have had no more problems with them. I was soooo pizzed off. I got the old Ooooo we didn't know that your property was posted!! I said really now??? They had just ridden between two posted signs that were only ten foot apart.how stupid can people be? exactly. i never "give" permission or allow anyone on my property. the liability issues might return to haunt me! What Made America Unique is each individual has had property rights. Sadly there is a movement afoot that these days reducing one's property rights. Every 10th person to "Like Us" on Facebook receives a 5% discount code for your next purchase! Cellular cameras (instant alarm setting) and good neighbors are what I found helps protect my property, signage and a gate or two on the way in deter the driver traffic. On turkey day dog deer hunters tossed out a light cig, it started a fire that traveled from my neighbors lane right to our horse barn and burnt it to the ground. They over run my farm with the dogs and laugh in my face as "dogs cannot read posted signs." 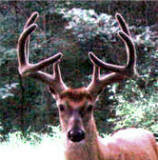 They have ruined my hunting on my own farm, so yes I will arrest any one that steps six inches on my property. We just totally FED UP! If you are on Facebook, there is a group of VA landowners/leaseholders who are organized to fight against trespassing deer dogs. You may already be a member but if you aren't, PM me and I can provide info. I'm a member of a MS group with the same purpose. Yes I would be interested in the FB page, TY The one year they laughed in mt face and released about thirty dogs right on my property line and shot every thing that moved standing on the other side. They knew that they missed the one big eight point and told me that they would be back the next day for him. They did come back and they did shoot him. I hunted for 21 days on my own farm and never saw the first deer after that. Then a week later I found that they wasted ALL of the meat as they just dumped all the deer they shot into a hollow a couple of miles from here. Thats's a long story in short form, but they have been nothing but trouble here for the past 22 years.